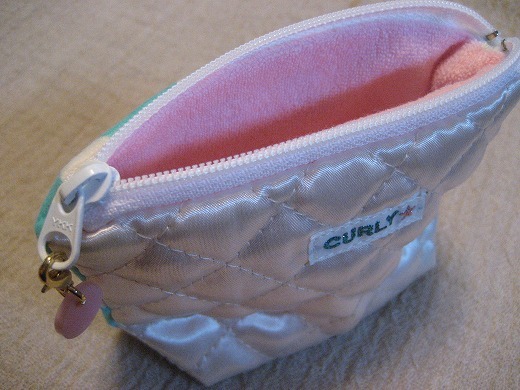 These cute fabric pouches are from Curly Collection. 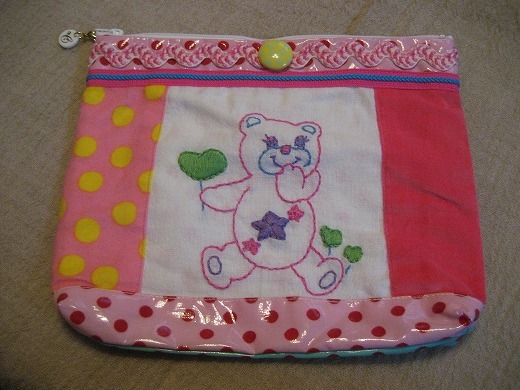 Pink one is a plastic coated fabric pouch which protects your stuff from getting wet. 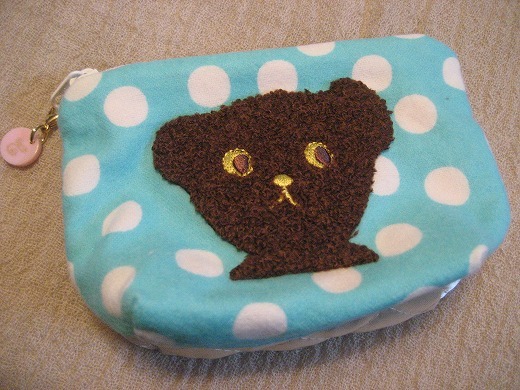 Brown bear’s towelling pouch is good for carrying digital camera. 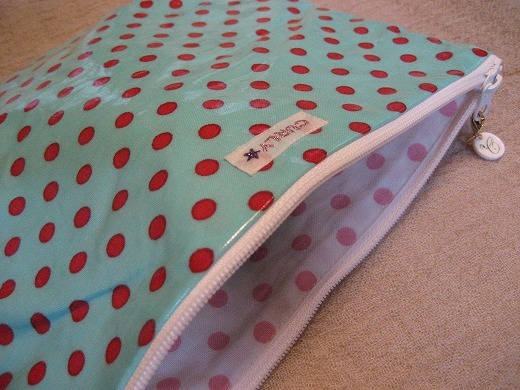 Fun polka dot exterior patterns make me happy.